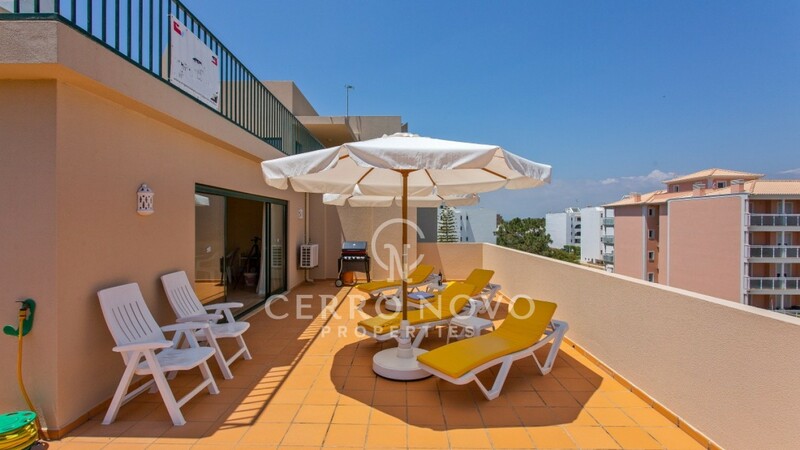 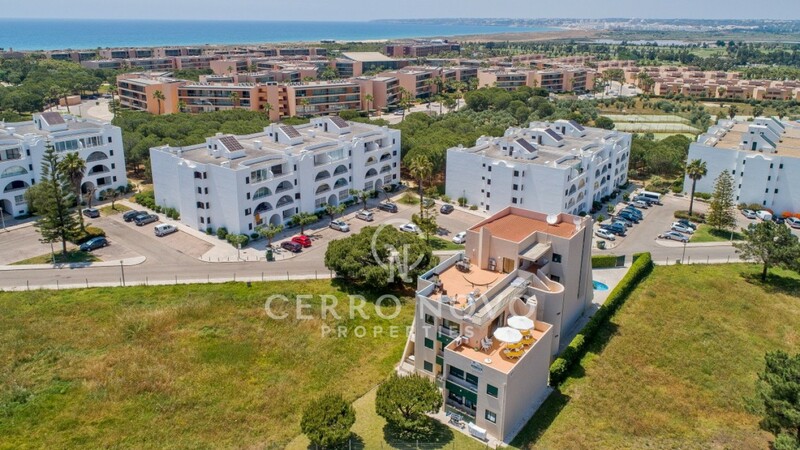 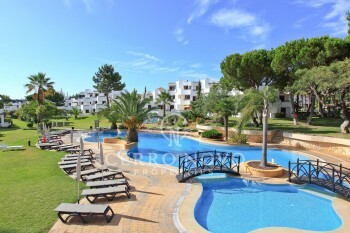 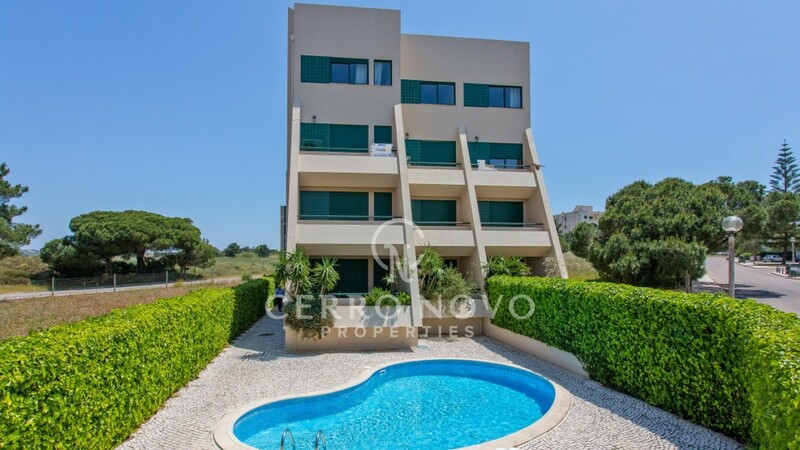 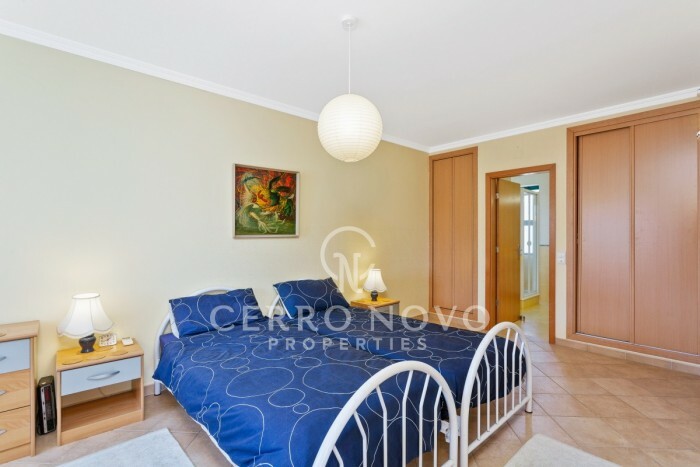 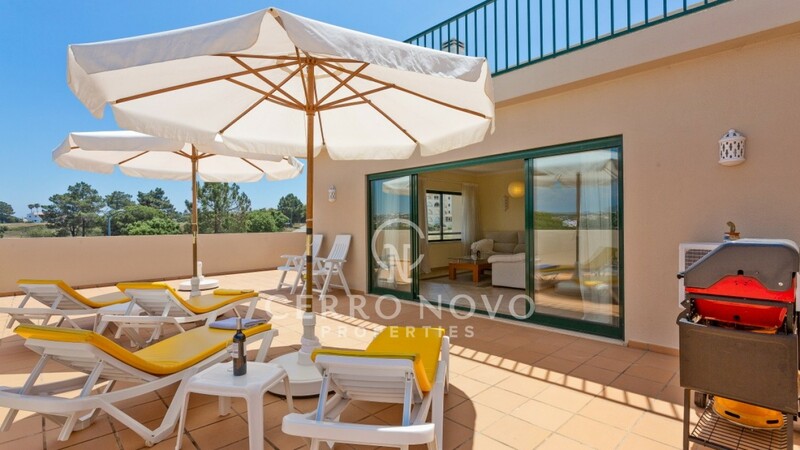 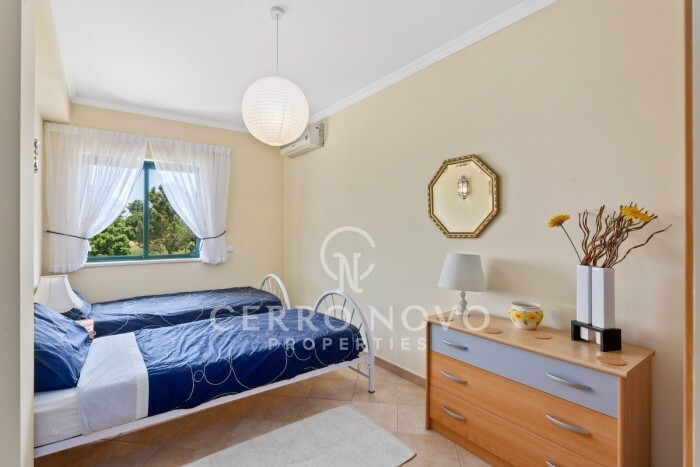 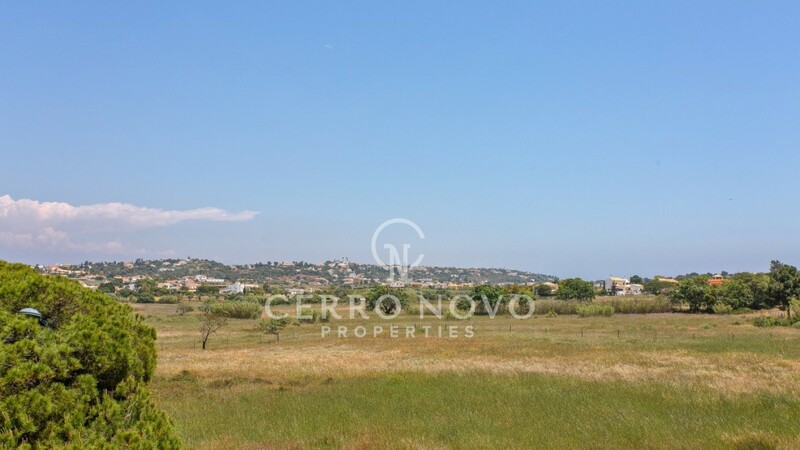 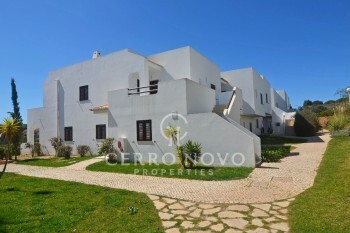 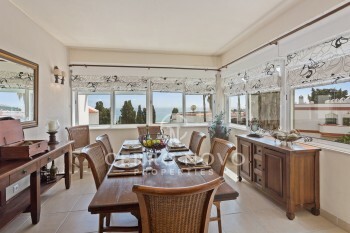 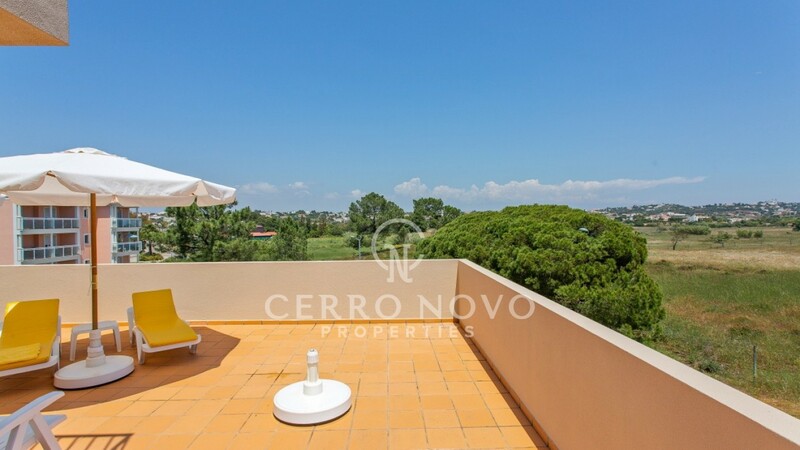 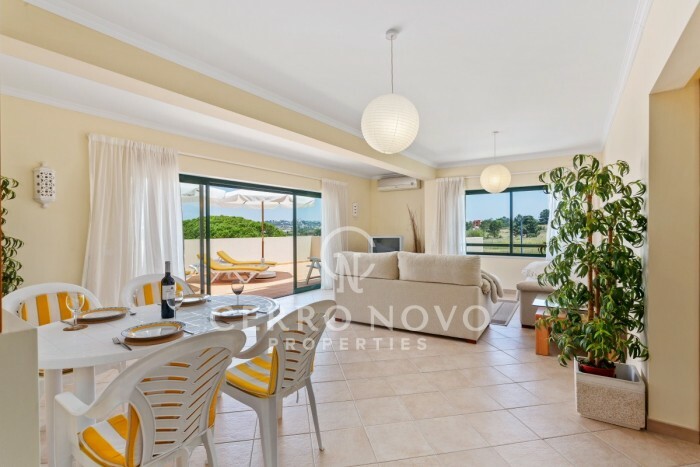 This quality apartment is in an excellent location close to Salgados golf course and only a few minutes walk to the Salgados beach, restaurants and a supermarket. 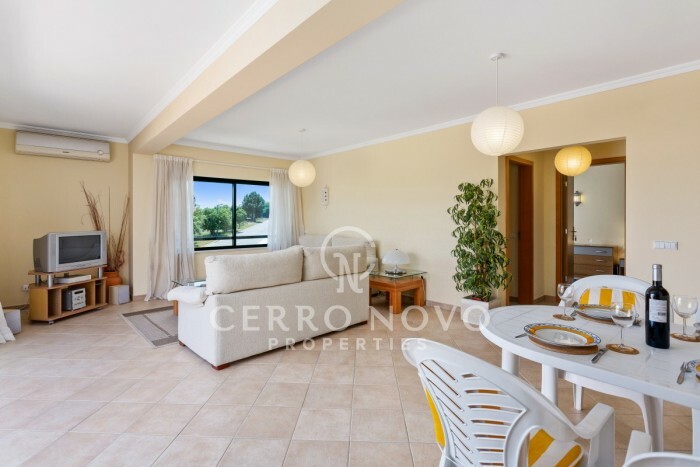 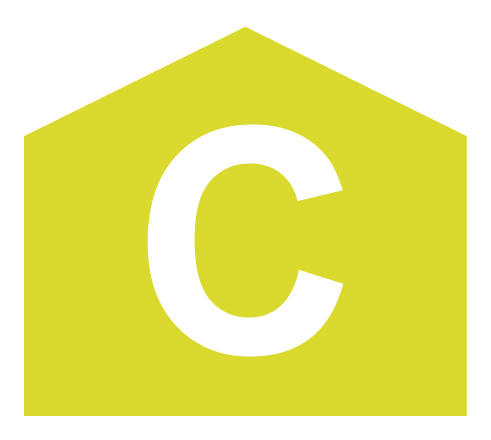 Spacious and bright, the open plan living area has patio doors all along one side opening to a huge, private 61m2 terrace with country views and prepared to install a hot tub or jacuzzi. 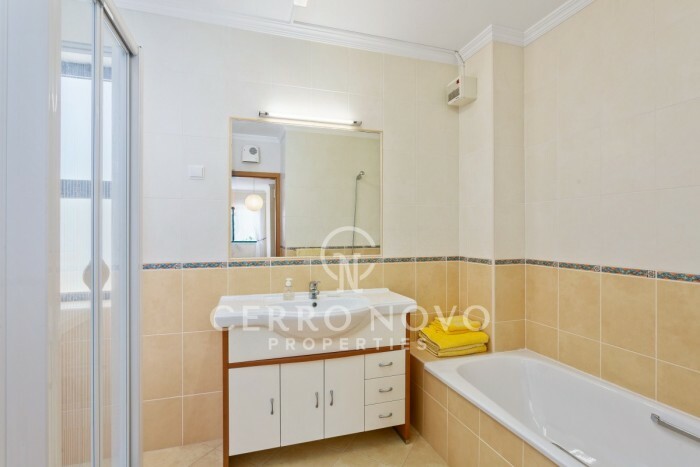 This lovely property has two bedrooms and two bathrooms one of which, the master, is ensuite an the fully fitted and equipped kitchen has the added bonus of a pantry or store room. 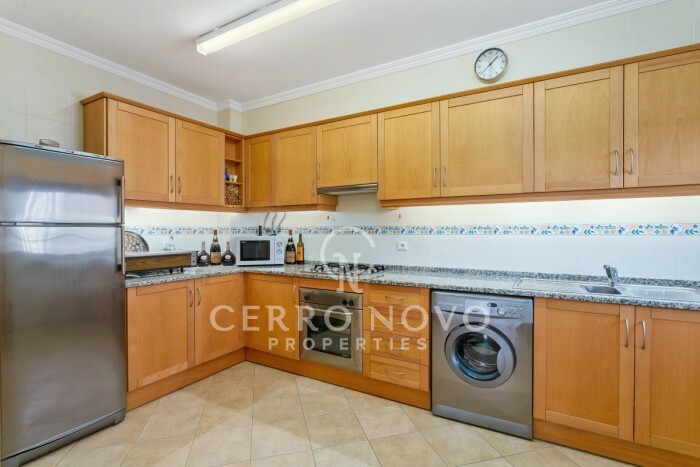 This is a small, well maintained, gated condominium with a shared pool and basement garage with two large adjacent parking places, a nice plus in the summer.